Junk Bunk Ltd is a company that provides reliable house clearance London and also offers variety of domestic clearance services. If you do not have time nor are able to get rid of the junk and house rubbish after refurnishing your home or just have a lot things to throw away, do not worry about that, we are here to do this for you! Our clearing house experts provide services thorough all London and are just one call away! Take Advantage of Our Local House Clearance Service! 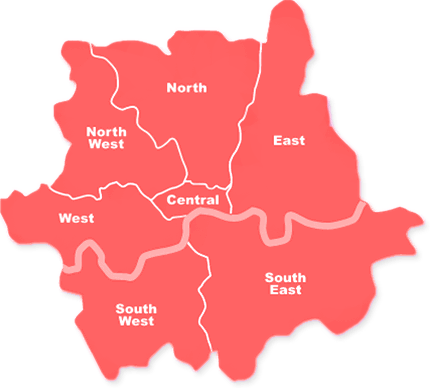 Junk Bunk Ltd covers all London, so our local house clearance experts, can easily reach you everywhere in the city. Our teams are almost in every area to make it easy for you to get the help you need. As we have big capacity of teams and we offer same day house clearance in London! The moment you decide you need our services, contact us and we will be there to remove all or part of the rubbish in your property. It is not your duty to clear your house properly, this is our job and you do not have to worry if your plans went wrong and you have finished with the repairs later or earlier and you need us right away! Contact us and we will be there shortly! For complete house clearance, a team of three men can be arranged instead of two. Most importantly, you will be charged only for the amount of the rubbish instead for extra hand. Get in touch with us and we might be able to send a team for viewing for an accurate cost of house clearance London. Book Cheap House Clearance London! We are fast, flexible and operate throughout all London. In addition, we have our teams equipped and prepared to remove items from any kind of properties. In other words, for difficult access – we use the equipment to dismantle or break down the bulky items if there are any to be taken away. We do everything for you. Just contact us and leave everything else to our team. Our house clearance services London are affordable. According to the quantity of items removed, whether full or part house clearance or just domestic rubbish removal, the cost will suit you the best. Some additional labor time might apply as a result of furniture dismantling requirement. You need your house cleared now! You want reliable and professional work! We offer you quick and same day service, reasonable house clearance prices and solution to all your waste clearance problems! Call us on +442037692921 to find out more! The Best Teams For House Clearance. Man And Van Rubbish Removal From Home.